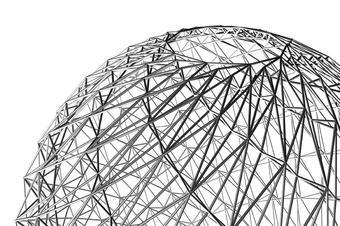 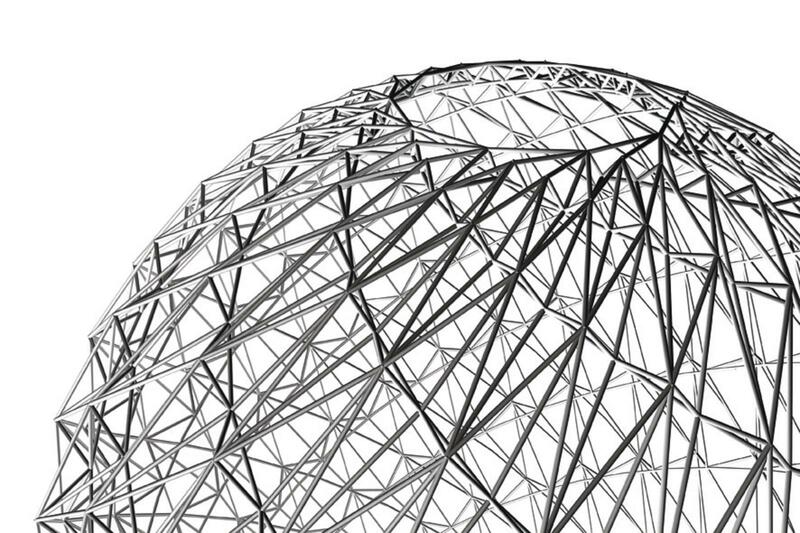 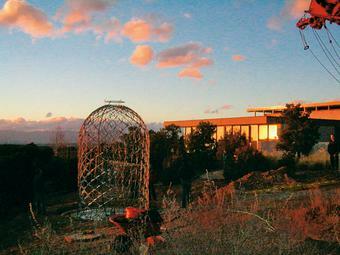 This domed pavilion is constructed of steel tubes that form a spiral structure. 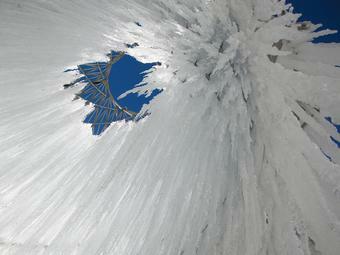 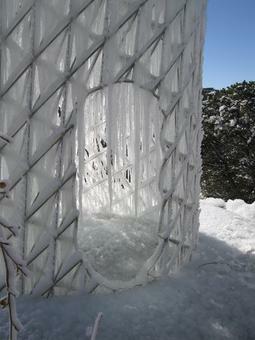 When temperatures drop below freezing, typically during winter nights, water is sprinkled at intervals from the oculus at the top of the pavilion. 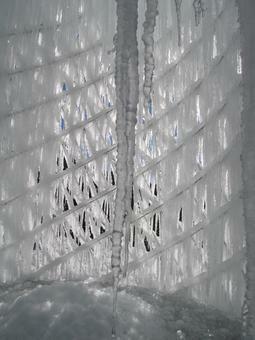 The water freezes as it runs down the latticework frame, tracing the contours of the spiralling surface and coating the metal tubes with ice. 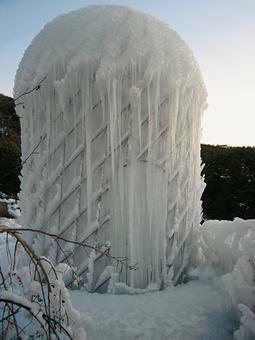 During the daytime, when temperatures often climb above freezing, the ice begins to melt, dripping down the turret before freezing again into new formations at night. 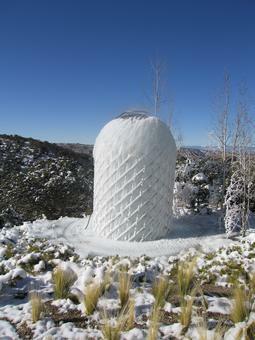 In the work’s desert environment, there is very little rain. 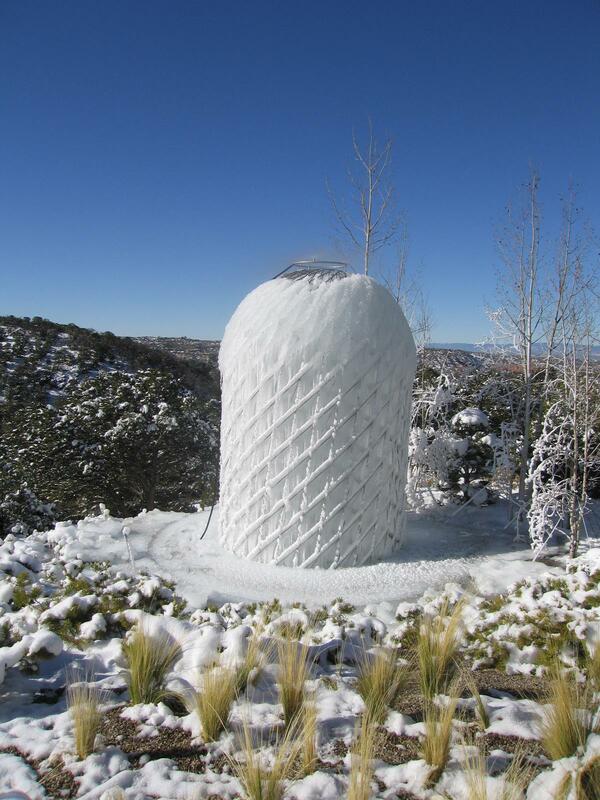 To cover the pavilion with ice in the winter months, a complex system was established to collect water from various roofs and lead it to an underground container, where it remains until temperatures drop below freezing again.